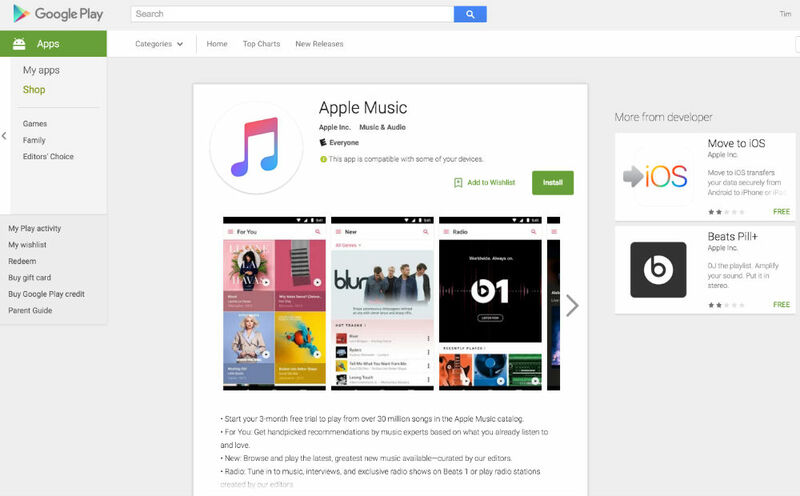 Apple Music is now available for Android devices through Google Play. Yup, this is a pretty momentous day for all in Silicon Valley, as Cupertino begins to acknowledge the importance of porting its luxurious iOS experiences to Mountain View. The Apple Music app is currently listed as a beta, but if you do decide to check it out, you will be able to begin a 3-month trial for free, granting you access to over 30 million song titles. The service features catered recommendations, a way to “connect” with artists (on their own terms, of course), and create custom playlists for whatever mood you are feeling. Listed in the “coming soon” section are music videos, a better sign-up process for us on Android, and family subscriptions are remaining a Mac and iOS exclusive for the time being. The app is completely free to download, so go give it a try.